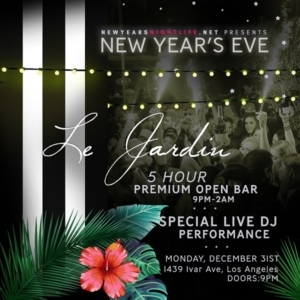 Le Jardin LA New Years Open Bar Tickets. 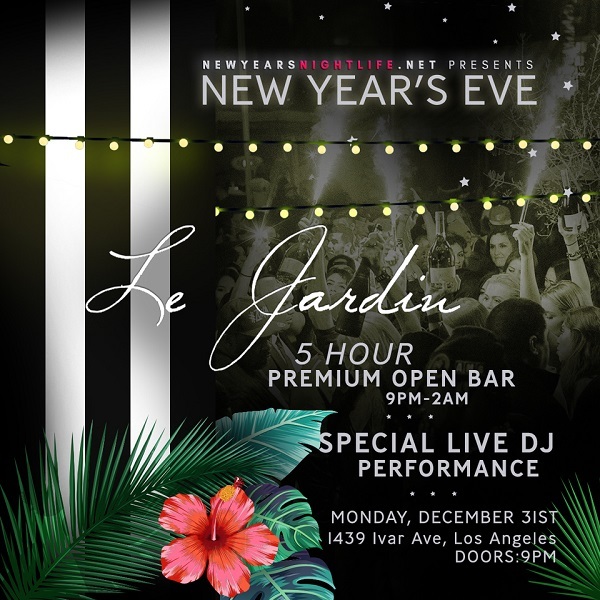 Escape to the South of France this New Year’s Eve at Hollywood’s go-to New Years LA nightlife destination, Le Jardin. Join L.A.’s sophisticated set with a high class celebration under the stars.